Mentors are doing great things!! 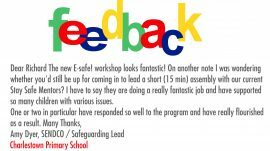 Nice words from head of safeguarding at Charlestown Primary School. 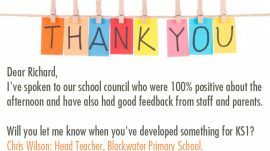 Always great to hear!! 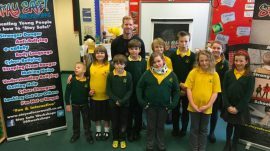 From Blackwater Primary School following our E-safety workshop. Thanks guys. We are looking forward to a busy, positive and exciting Summer Term! 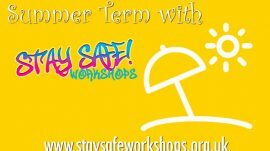 Stay Safe Workshops will be visiting a school near you across the summer. See you soon. Who are your children talking to online? Both our Stranger Awareness and E-Safe! Workshops cover cyber strangers and online grooming. 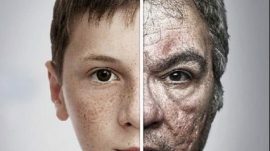 Recognise it, avoid it and get help from it! 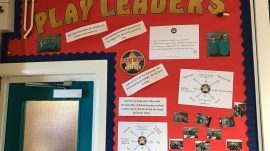 A great Wall Display created by the pupils of Crudwell Primary to make sure the whole school knows all about the Stay Safe Mentors there!